Are you wondering why your hair will not curl the way you want it to? When you do curl it, in 5 seconds it is already flat again. It looks like you did not even use a curling iron. Does your hair look and feel flat and heavy on top and dry and frizzy on the bottom half? Do you want to know why your hair will not hold a perm? 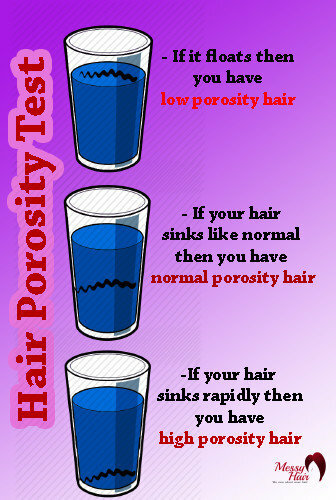 It may be time to check the porosity of your hair. Now you are wondering what porosity hair is? It is how your hair absorbs and retains moisture. Your hair has cuticles and depending on the porosity of your hair means if your cuticles in your hair are too tight, to open or just right. In this article, you will find out the porosity of your hair, how to deal with hair that has low porosity, the characteristics of low porosity hair, signs of low porosity hair and how to treat your hair with low porosity. 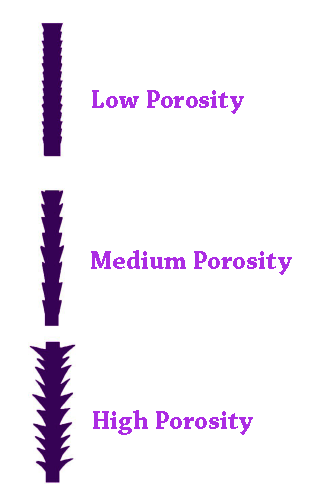 There are 3 types of hair porosity: Low, normal and high. There are 3 ways to test the porosity of your hair. Once you figure out the porosity of your hair, you can get on a great regimen that will be great and beneficial for your hair! The water test: spray some water on your curls and see what happens, if your hair absorbs the water quickly, then you have high porosity hair, if the water stays on top, then you have low porosity hair. The shedding test: drop a strand of hair in a glass of water, if it floats then you have low porosity hair, if your hair sinks like normal then you have normal porosity hair, if your hair sinks rapidly then you have high porosity hair. The strand test: get a selection of different hairs from different parts of your head. Take your strands and put them between your thumb and finger, if they slide up and down your finger easily and it feels dense and hard, you have low porosity hair. If it is smooth, then you have normal porosity hair and if it breaks and feels dry and or rough, then you have high porosity hair. Once you have determined the porosity of your hair, you can then decide what type of treatments and shampoo you need to fix the problem. Have you often wondered what to do to get your hair to look and feel like they do on tv? Now with this article, you will be able to have the hair you have always wanted. It will take some work to get it the way you want it, and you will have to keep up on the regimen to make your hair hold moisture and not feel so heavy and weighted down all the time. Well, now lets’ get into how to fix your low porosity hair and get it back on the right track!! Low porosity hair is when your hair cuticles are tight and your hair does not hold moisture well. If you think you are using the proper products on your hair. Shampoo, oils, and conditioner, you are probably not using the right ones. Low porosity hair requires water-based shampoos, make sure water is the first ingredient in the shampoo. If you use oils, make sure to use the lighter oils on your hair. Almond oil and grapeseed oil are the light oils you want to be using. Some of the signs of low porosity hair are; your hair does not hold moisture very well, your hair does not work with conditioners, meaning the either leave your hair greasy or still dry. Your hair always seems dirty or have built upon it, you have noticed that you need heat to activate your conditioner, it takes forever to dry your hair and your hair is either to dry or too oily. These are all signs that you have low porosity hair. Do you often find yourself wondering why your hair is so frizzy and dry? No matter what you do, your hair will not do what you want it to. That would mean you have low porosity hair. If your hair does not hold moisture and it stays on top of your hair, you have low porosity hair. The cuticles in your hair are too tight and will not let the moisture in. If you have just curled your hair and turned around and looked back in the mirror and it is already flat, you have low porosity hair. If you have tried everything and your hair is not doing what you want it to, you have low porosity hair. If your hair takes a long time to dry and the product just builds up on your hair instead of soaking in, you have low porosity hair. If your curls take forever to dry, if the products you use stay on top of your hair instead of getting into your hair, natural oils do not work, instead they do not penetrate your hair and your curls take a lot longer to get saturated when you are in the shower trying to wash your hair, these are also good indicators that your hair is low porosity. So, if your hair is always dry no matter what product you find to out in your hair, or you use what you think is all the right oils and deep conditioners in your hair and it is looking greasy after you are done. These are all indicators that you have low porosity hair. You will learn what the proper products are for low porosity hair in this article and will be on to healthier softer hair in the future. The procedures are easy to use and will be great for your hair in the long run! Now that you have determined that you have low porosity hair, you now need to learn how to care for your hair and what products to use. Steam: steam will become your best friend, you will want to steam your hair at least 2 times a week. The steam will help open up your cuticles and that will help get moisture into your hair. Make sure you are using warm water and not hot water when doing the steam. Stay away from too much protein: low porosity hair does not require too much protein. Try to buy shampoos that are water-based or moisture based to help with the low porosity. The moisture/balancing products would be the best for your hair. Oils: You should try and find lighter oils for your hair. Because your hair has a hard time letting in moisture, it will also have a hard time letting in certain oils. The lighter oils will find their way into your hair. You will want to use like grapeseed oil and almond oil and avoid coconut oil, olive oil, and avocado oil. Those heavy oils will make your hair look greasy because the oils will just sit on top of your hair. Deep conditioning/heat: Deep conditioning hair that is low porosity is a must!! It is a great way to get the moisture into your hair. Steaming it at the same time would be very beneficial. Even if you can just heat up your conditioner before you use it. Your body heat will also help. When you are done conditioning, use some cool water to rinse and seal in the moisture. You can also deep condition your hair and put a bag over your hair to some indirect heat by using a hooded dryer. Bentonite clay: using a bentonite clay with some apple cider vinegar and essential oils is another great method for low porosity hair. It will leave your hair clean and refreshed without feeling stripped. Then rinse your hair with warm water to keep the hair cuticles open and then do your wash day program. A greenhouse or baggy method: the greenhouse method is used to create heat and moisture. It is an easy and great process to use. You will cover your hair with a plastic cap and then put a snug hat over the top of the plastic cap, like a beanie or any snug fitting hat. You will leave your hair wrapped overnight. The outer layer of your plastic cap will have water droplets in it because of the heat rising from your head overnight. Avoid heavy-duty styling products: styling products just add more unwanted weight to your hair. Which then adds more heavy build up on your hair. The stuff you are trying to get rid of! Avoid moisturizing wet hair: for low porosity hair, it is best if it is damp when moisturizing. Do not moisturize dry hair because the cuticles have already laid back down and closed up when the hair is wet. If your hair is to wet, the product will just sit on top of your hair and not soak in the way you want it to. Use a clarifying shampoo: using a clarifying shampoo to get rid of the nasty build up on your hair and to give your hair a fresh new start. It will give you a fresh pallet to start on your journey of getting your low porosity hair back on the right track. Avoid using heavy oils: Heavy oils will just sit on top of your strands of hair leaving your hair looking nice and greasy. It would then defeat the purpose of moisturizing and softening your hair. Try to avoid these at all costs, coconut, castor and olive oils should not be used on low porosity hair. They will not do your hair any good. It will actually be making your hair worse, not to mention greasy! You should definitely pick the process that you think will work best for you and the time that you have to use these. Or you could just try a different one every day and see which one gives you the best results for your hair. The first one to use is to avoid heavy styling products, that is an easy one to start with and will be the first of many to get your hair back to the way you want it. So, you have read the article and can now determine the porosity of your hair. We have read through all the signs of low porosity hair, low porosity hair characteristics and how to care for hair with low porosity. You need to get all the proper shampoos, conditioners and oils to get you low porosity hair back on track. Once you have started your program, you will notice that your hair does not feel heavy and weighted down, it will not look and feel as dry and frizzy and in general, it will be better for your hair. You will be able to hold the curls you have always wanted. They will last more than 5 seconds and you won’t have to pile on the hairspray to make them last the 5 seconds. Your hair will be so much easier to manage with the proper ingredients and steam, remember steam is very important as well, it allows the cuticle in your hair to open up and let the moisture in. Once you have started all these steps and what not you will be much happier with your results on your hair when you have spent a lot of time styling it before work or a night out on the town. 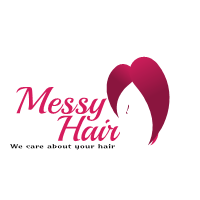 I know that since I have started these steps my hair is much easier to brush through before it would just keep knotting up and it is not as dry from the middle to the ends of my hair. It just feels better in general and will continue to use these steps in fixing the porosity of my hair. How Long Should You Wait To Dye Your Hair Again?